Studies have indicated that children whose parents and/or other significant adults share in their formal education tend to do better in school. Some benefits that have been identified that measure parental involvement in education include, higher grades and test scores, long term academic achievement, positive attitudes and behavior, more successful programs, and more effective schools. All parents want their children to become successful, caring adults. Similarly, many parents want to be involved with the formal education of their children. Sometimes, however, they don't know where to start, when to find the time, or how to go about making positive connections with the school. The information provided on these pages and this website are provided to help you stay involved with your child's education. If there is any information you would like to see posted on this site, please let us know! Please visit the Campus Portal for up to date information on your child's grades and important announcements from the school and district. A Campus Portal mobile app is also available. 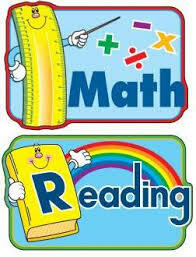 Check out the following website for valuable resources to assist you and your child with homework. The CCSD Parent Portal provides links to CCSD resources such as transportation, zoning, and calendar items. The Nevada Department of Education's stance on academic integrity is known as the Code of Honor. Also available in Spanish. The Nevada State Board of Education recognizes that parental involvement is the key to academic achievement. Studies demonstrate that when parents are involved in their children's education, the attitudes, behaviors, and achievement of students are positively enhanced. The Educational Accord is mandated by the state Parent Involvement Policy as well as with the federal No Child Left Behind (NCLB) Act of 2001.